Ontario players dominated at the Senior Canadian Championships. All five major gold medals won athletes from Ontario, ten titles out of eleven goes to Ontario. Eugene Zhen Wang and Siqian Wu are Canadian Champions in single events. Their experience and superior performance level was too high obstacles for finalist Antoine Bernadet (men’s single) and Sophie Gauthier (women’s single) from Quebec. Two youngsters, Jeremy Hazin and Joyce Xu reached semi-finals. Hazin, 2018 Canadian champion, lose semi-final against Bernadet can be seen as a surprise. Joyce Xu earned the bronze medal by defeating second seed Ivy Liao (BC) in quarter-finals in seven sets. After leading 2:0 and 3:2 she had found strength to won the marathon with just 11:8 in seventh game. May Tong, 2018 Canadian Champion, has lost her quarter-final match against Gauthier also in 7th game match. On the other hand, Tong and her double partner dominated in women’s double. Other double winners were Eugene Wang / Jeremy Hazin (men’s double) and Hongtao Chen / Siqian Wu (women’s double). Most of veterans players were from Ontario so it is not surprise that Oleg Martens (over 40), Stephan Carbonneau (over 50), Mark Pang (over 60) and Sherry Wang (women’s veterans) won the titles. Mark Pang is also the bronze medalist from the 2018 World Veterans Championships in Las Vegas. 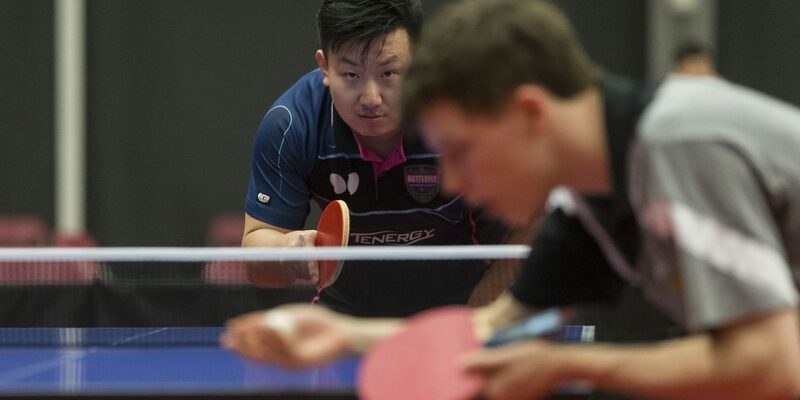 NextSeeking Very Skilled Asian Ping Pong Players for a Sports Campaign in Toronto!